Edit: We originally claimed MGM is the distributor of Cabin in the Woods, when in fact LionsGate has bought the rights from MGM to distribute the film worldwide. The original post continues below. Its been a long and winding road for Cabin In The Woods, the new horror movie by Joss Whedon and Drew Goddard. Originally scheduled for release in 2010, the film’s distributor MGM went through financial hell and was forced to keep Cabin on a shelf with no release date in site. Produced by Whedon and directed by Goddard from a script by both, the film stars Kristen Connolly, Chris Hemsworth, Anna Hutchison, Fran Kranz, Jesse Williams, Richard Jenkins and Bradley Whitford. I’m on board. Are you? 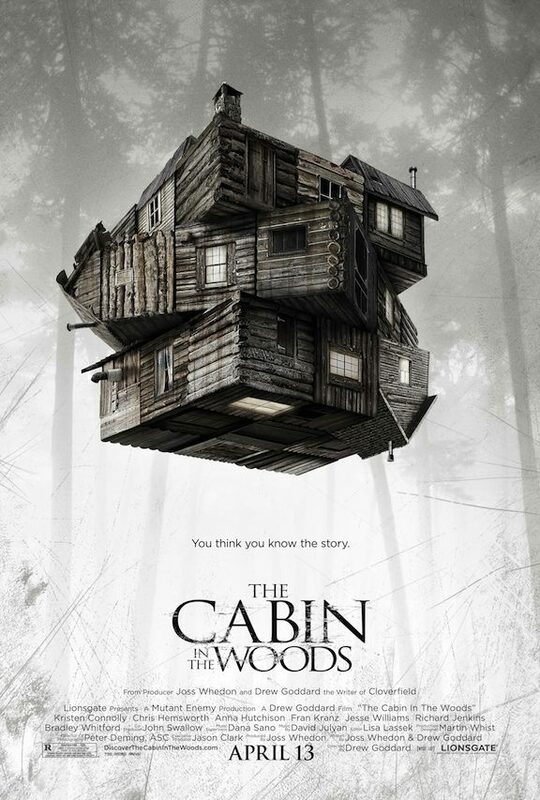 Cabin In The Woods hits theaters on Apirl 13th, 2012. Comments for “Cabin In The Woods” Gets A Weird New Poster are now closed.